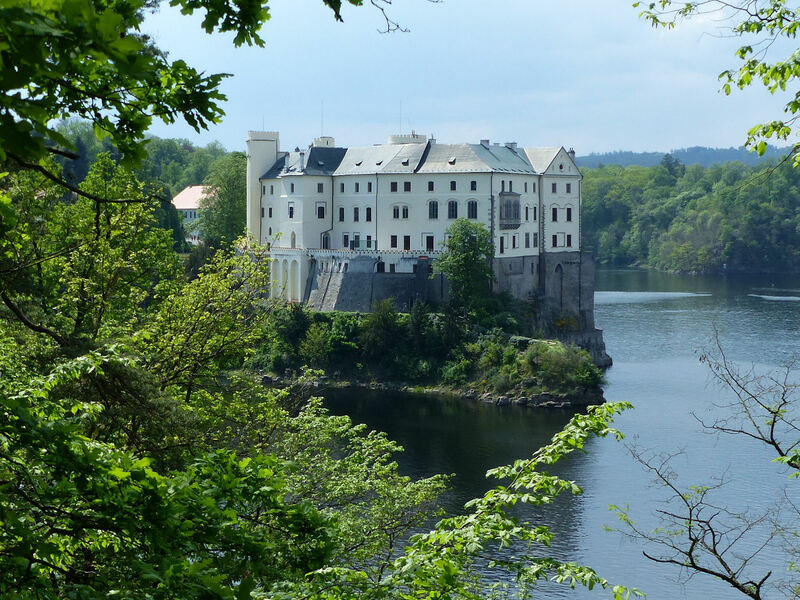 Orlík takes its name from ‘orel’, the Czech word for an eagle; and indeed for many centuries this rocky outcrop rising 200 feet above the river Vltava must have made a dramatic eyrie for the original fortified manor. Its appearance today — a neo-gothic fantasy floating only just above water-level — is the result, prosaically, of the construction of Czechoslovakia’s largest hydroelectric dam in the 1950s. From its origins in the late 1200s, the estate passed through many hands including, in the fifteenth century, those of Petr Zmrzlík, an ardent supporter of Jan Hus. It was at Zmrzlík’s invitation that Orlík provided shelter for the Hussite leader Jan Žižka of Trocnov, whose military strategy was to prove invincible in the Hussite uprising of 1420. 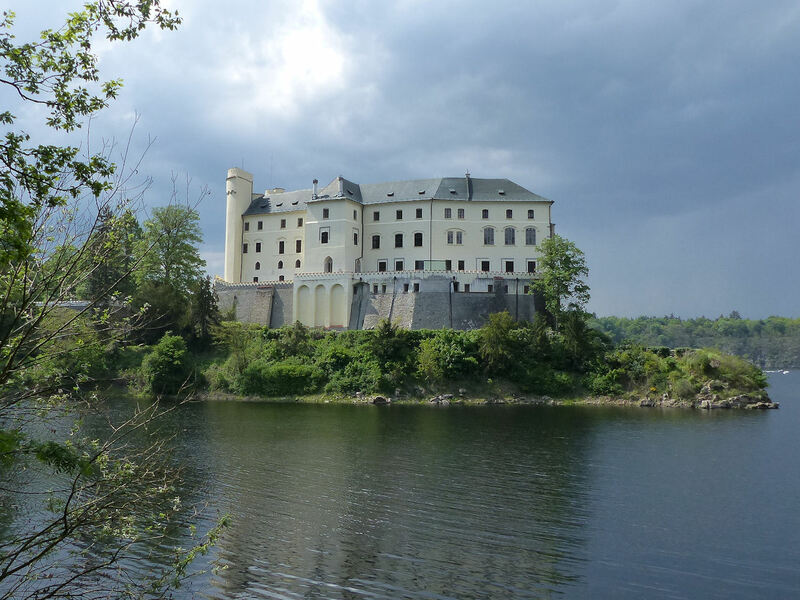 Following a devastating fire in 1508, the Švamberk family re-worked the castle in the renaissance style; and so it still looked when it became the property of the current owners, the Schwarzenbergs, in 1719. Under the stewardship of the famous field-marshall Karl Philipp Schwarzenberg (1771-1820) and his descendants, the house and park began to take on their current romantic appearance. A fourth floor was added, and the grounds were extensively planted with trees in the English fashion. Finally, between 1850 and 1861, the entire house was remodelled in neo-gothic style under the Prague academician Bernhard Grueber. Despite centuries of fortification and apparent impenetrability, the Eagle’s nest has succumbed to more sieges, confiscations and robberies than many castles of its size and strategic position. The most recent took place in 2010, when nearly a million Czech crowns’ worth of historical artefacts were taken by thieves apparently stealing to order. When the alarm sounded, it was ignored on the grounds that it was probably a spider that had set it off.